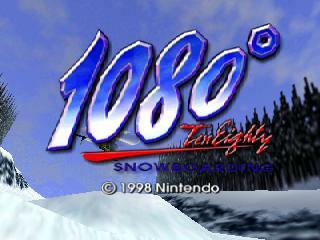 Jools Watsham and Renegade Kid have done some amazing things for the Nintendo eShop. You’re no doubt familiar with my praises for Mutant Mudds, and a few may have heard what I had to say about Bomb Monkey. While the platformer and the puzzle game are well within my comfort zone, I cannot say the same for the “arcade racing” genre. When I heard rumblings regarding ATV Wild Ride 3D, I decided to put my trust in Renegade Kid once again, this time venturing well outside of my comfort zone, down a road I don’t often tread. I’ve played through a few iterations of Excitebike. 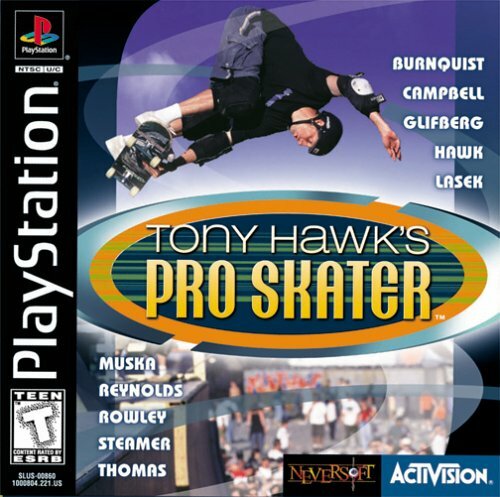 And I’ve also dabbled in Tony Hawk’s Pro Skater on the original PlayStation, 1080 Snowboarding and other games that rely upon tricks, score attacks, and player skill. 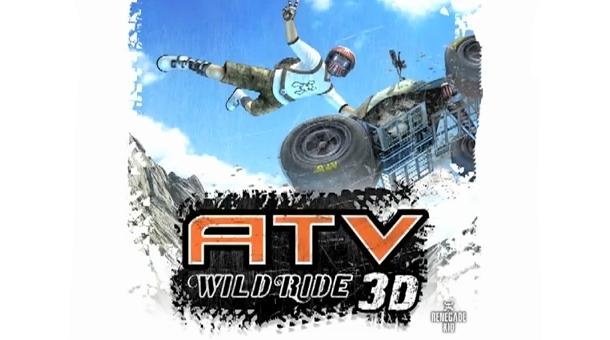 My initial impressions of ATV Wild Ride 3D were that Renegade Kid was trying to take the traditional racer, get it a little dirtier, and throw in some tricks to keep things interesting. Similar to Bomb Monkey, there’s no story to be found, much less any premise at all beyond the player’s personal drive to…go wild. ATV Wild Ride 3D simply drops down a menu after you create your profile and mind a few “don’t try this at home” warnings and… lets you play in the sandbox however you like. You can go it alone via the World Tour I already mentioned at a glance, which features several stages and several modes of play. 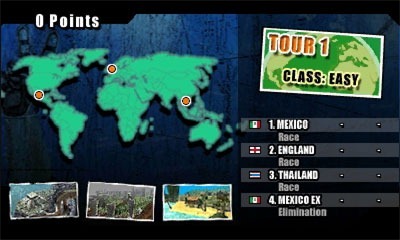 If you prefer a more rationed experience, you can do a Quick Race that allows you to pick from courses you’ve completed in the World Tour and run through them in a variety of ways (regular, reverse, etc). And last but not least, you can go Freestyle, which refers to a specific mode of play in the game that focuses entirely on high scores and tricks versus placing in an actual race. As far as graphics go: don’t expect anything truly spectacular. While Mutant Mudds and Bomb Monkey possess this sort of charming cartoon aesthetic that I ultimately associate with the developers’ artistry, ATV Wild Ride 3D captures a…different kind of feel that leans more along the lines of…well, 1080 Snowboarding or a Tony Hawk game. The visuals aren’t horrible by any means, but the various environments of the game (Mexico, USA, Canada, Russia, and more) feel more like plastic versions of themselves than any attempt something unique. 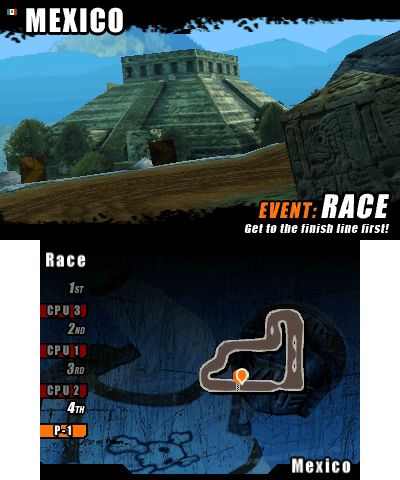 And the professional racers represented in game amount to interchangeable palette swaps with appropriate voices attached. But… I will admit the random billboards advertising Renegade Kid’s other games is a nice touch. And as for the music: I felt like I’d gone back to the era of 90s punk bands, which left me feeling like this is what arcade racing fans would have wanted—until I heard the same songs playing for virtually all of the game’s unique stages. I wish I could say it’s the straight-laced adult in me that thinks “all punk sounds the same”, but no—the game’s soundtrack consists of only a handful of songs, all that repeat whether racing through new environments or old. Again: fine but forgettable…despite a nice touch. Overall, the game’s presentation desperately needs more personality. Everyone and everything in the game, while certainly nothing bad by any means, just stood out to me as shades of mediocrity. It’s mildly disappointing to me, considering the personality packed into the previous games I love from Renegade Kid, and it’s clearly evident that the developers tried (in terms of a few of the game’s unlockables offering something special from time to time) but…perhaps these are all things fans of the genre can overlook. The gameplay, after all, offers a lot to do for a decent price. For under $10, you can race or rack up points alone, do the same with friends via local multiplayer, or even go online. Beyond anything else I say in this review, positive or negative, Renegade Kid has my respect for showing off the online capabilities of a bite-sized arcade eShop game. The online modes work remarkably well when there are opponents to face. Considering Bomb Monkey lacked crucial online components, one can tell they learned. But… things fall apart. Despite everything you can do in the game, despite the fun I was having throughout the game’s first few tours where level design was kept simple in favor of letting the player learn as s/he goes—the later levels, meant to be “Medium” or “Hard”, began to expose the game’s flaws. There’s your typical race where points are allotted depending on where you place at the end of three laps. There’s elimination where the one in last place gets cut off when three players pass for Lap 2, or two players pass for the Final Lap, and then only one man wins. And, as I said—Freestyle happens in the World Tour. Lots of versatility there, enough to keep things fresh and force the player to get the most out of his skills. I was playing through a race in Canada when I hit the top of a hill to perform a trick and…crashed out instead of sailing off into the wind as I should have. The game restarted me at the bottom of that same hill, so I used a boost to propel myself up it, got tons of air and was ready to perform a killer trick that sent me flying across the boundaries of the stage where I was poised to land safely despite cutting a corner, and… crashed out as soon as my player passed through the stage’s boundaries. 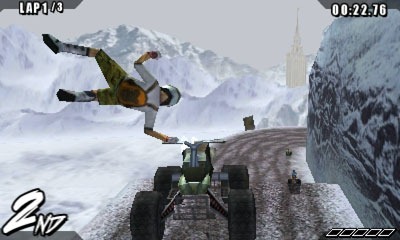 No cutting corners in ATV Wild Ride 3D, even when it makes perfect sense to do so. It was vexing, but I overlooked it…until these same collision/boundary issues happened over and over again in the later stages, costing me victory or much-needed points added to my score. The first few levels are an example of good, solid design that, if left consistent, would have made me very satisfied with this game by the time it was all over. But…the metaphorical pitfall that the level design suffers later on cannot be overlooked. All the while, the AI got less and less forgiving, even though the computer players themselves aren’t immune to the game’s boundary issues. It’s just too much to let go. I watched a computer player sail off and try to cut a corner in the same way that I did on a Hard difficulty, and he just…faded away. 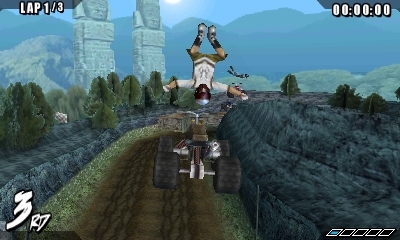 I know the AI in these gritty racers was clunky in their day, but methinks the examples I can recall in my experience with ATV Wild Ride 3D…took that notion a little too far. ATV Wild Ride 3D could have been so much. I spoke at length about my early impressions of the game, if only to admit that Renegade Kid had won me over for a while, and I was enjoying the thumb-mashing, L&R + D-pad holding tactics of youth as I went for the gold in the game’s first few tours. I was a little turned off by the presentation, of course, but this could all be overlooked if the fantastic gameplay this title started out on could remain consistent throughout. There’s a wealth of things to do, and you can do it all online—but half the game’s courses work to ultimately expose some major flaws that left the second, more difficult half of the game merely completed versus enjoyed. The price is certainly right for the amount of content offered, and again, roughly half that content is remarkably sound. At the very least you can tell this was an honest-to-goodness attempt at something special. 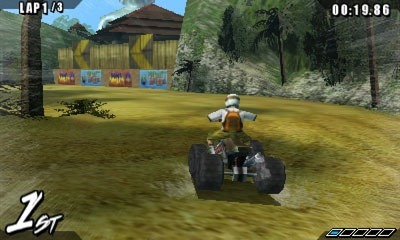 But for all the talk of wild rides and the revving of motors, ATV Wild Ride 3D feels very much…middle of the road. Review copy provided by Renegade Kid.